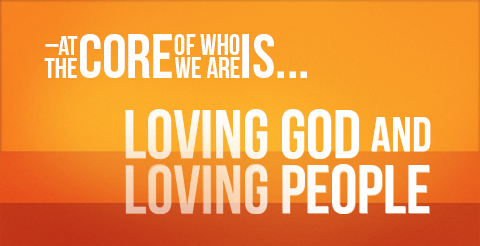 At Core Church we have four Core Values. These values guide us as a church and as followers of Jesus Christ. That’s why I intentionally begin each day reflecting and praying through each one. By being intentional with my prayers I am intentional about my day and what really matters in this life. CORE VALUE: Today I will lift high the name of CHRIST. REFLECT: Am I bringing glory and honor to God through my life? PRAYER OF REPENTANCE: I take time to let God chip away the things that are not like Him. Self examination is never easy but very necessary. CORE VALUE: Today I will lead people into a COMMITMENT to follow Christ. REFLECT: Am I reaching out to people far from God? PRAYER FOR THE LOST: I have a list of people that I’m praying for. I read through their names and ask God to overwhelm them with His Spirit and underwhelm them with the things of this world. CORE VALUE: Today I will live in COMMUNITY with other believers. REFLECT: Am I growing in relationship with God by being in relationship with God’s people? PRAYER FOR CORE CHURCH: I pray for Core Church and the people who call it home. I love our prayer team who pray every day for 30 days over the requests that come in. CORE VALUE: Today I will love the world through COMPASSION. REFLECT: Am I doing justice and showing mercy to people in need? PRAYER FOR THE LEAST AND THE LAST: Each day I pray that God will put me in front of someone who needs hope and healing. The more I think of others the less I think about myself. This is not a formula or systematic way to pray. Nor is it an exhaustive list of what I pray for and about each day. I use this more as a guide to keep me focused on what really matters. I have found that when my prayers are intentional and focused my day is more intentional and focused.